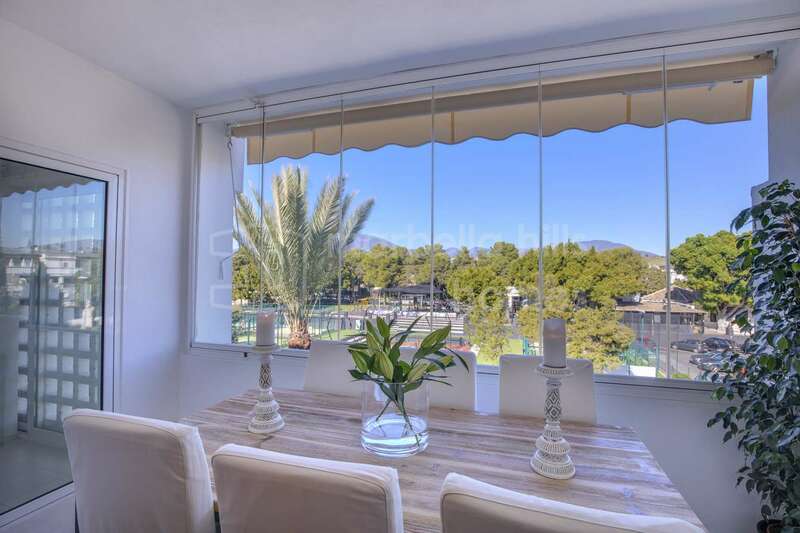 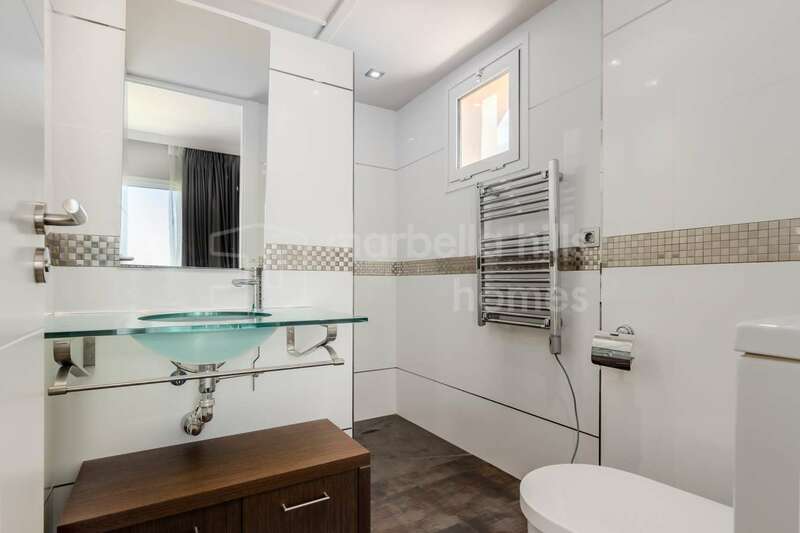 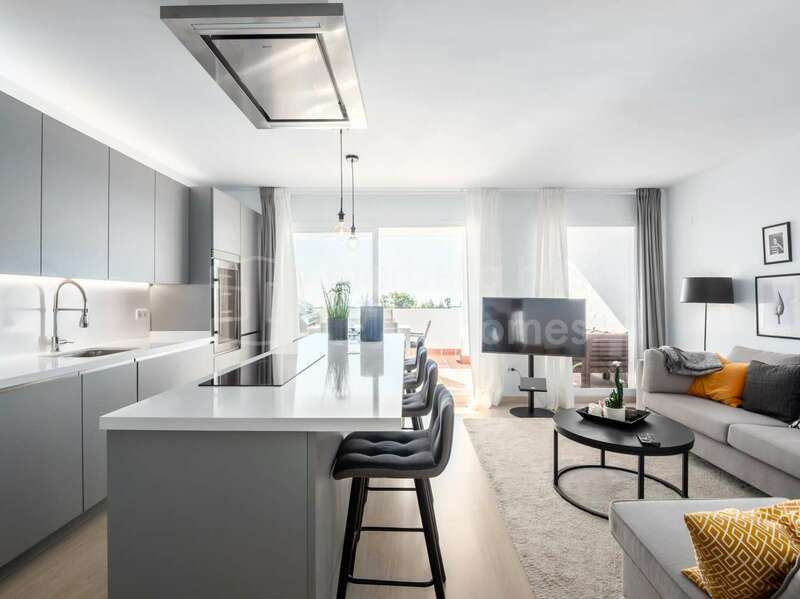 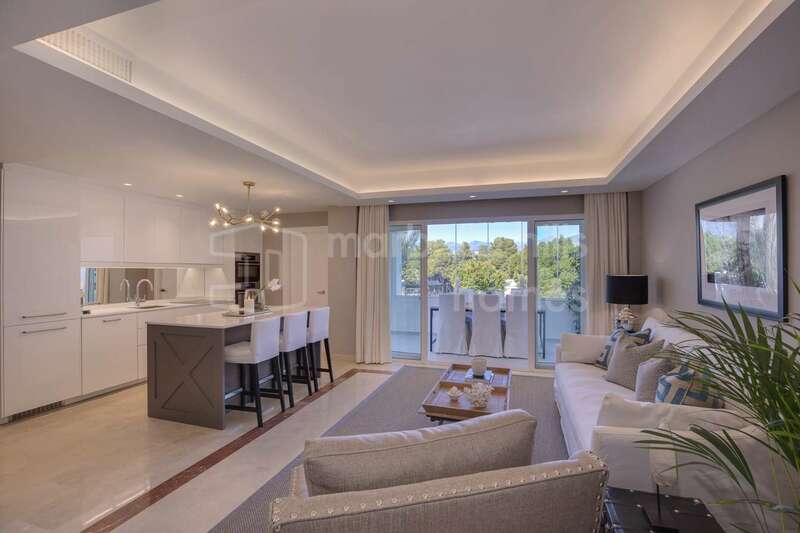 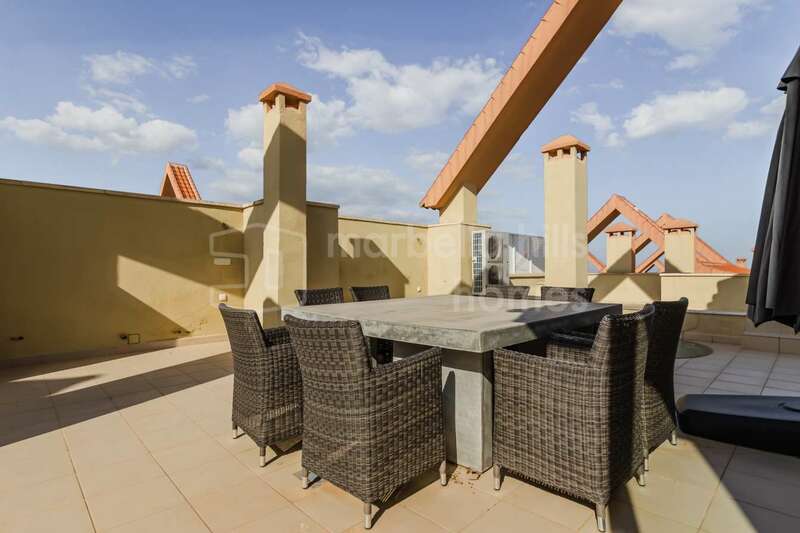 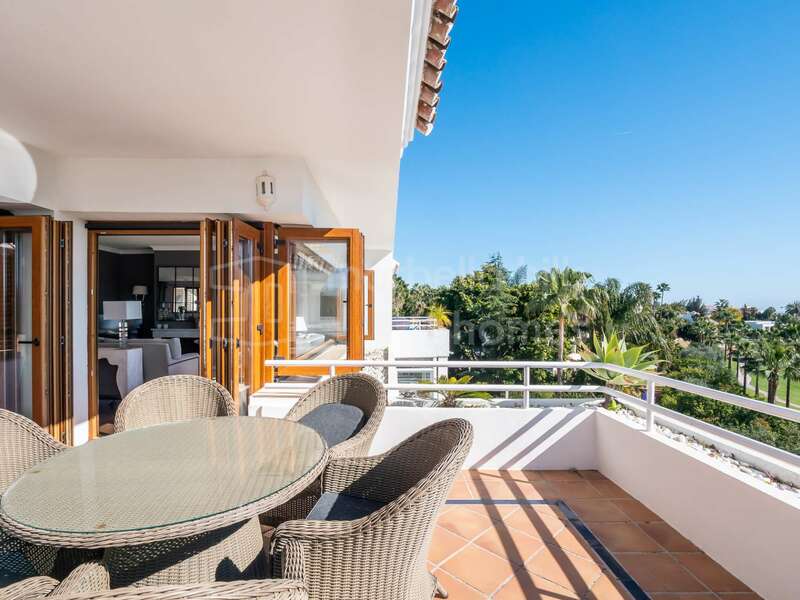 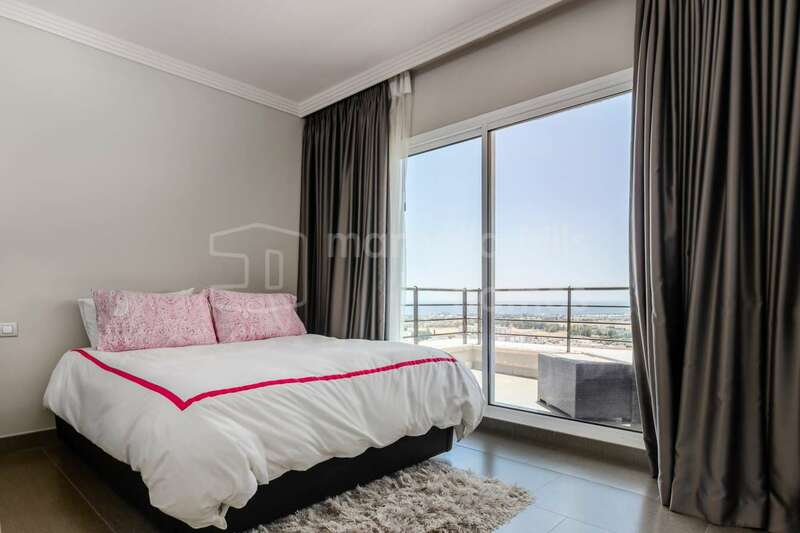 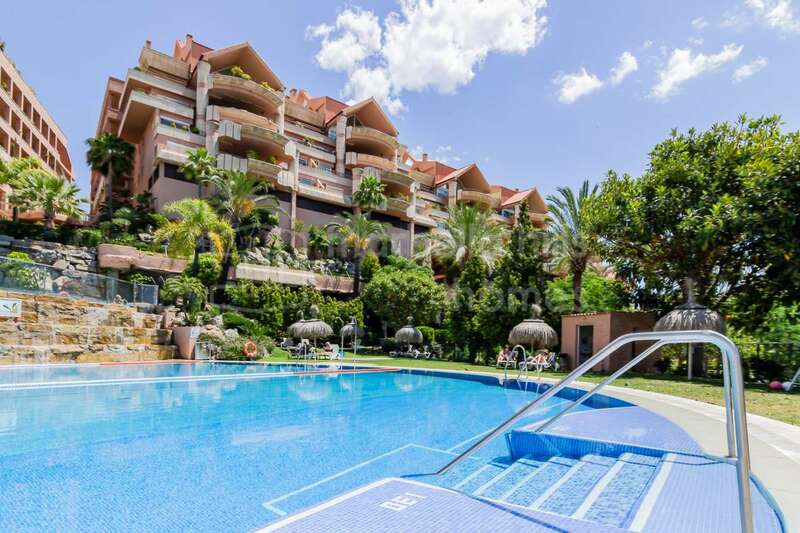 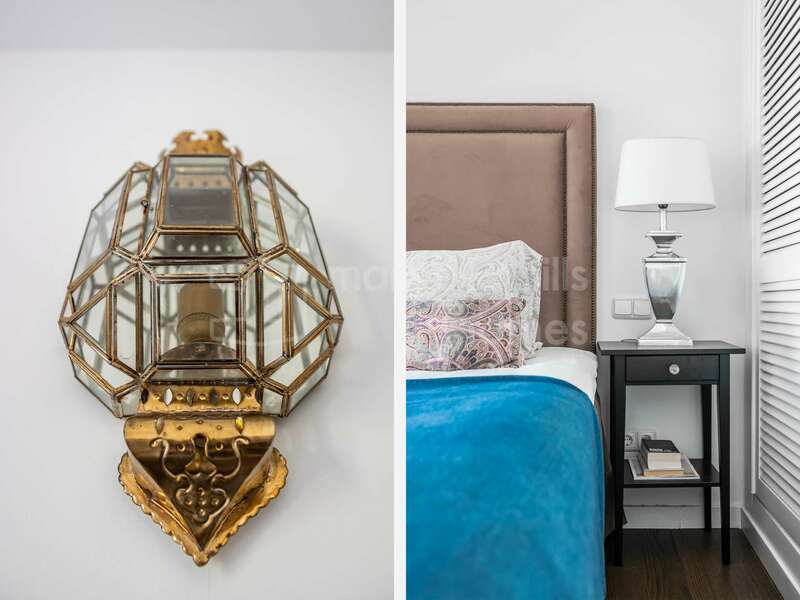 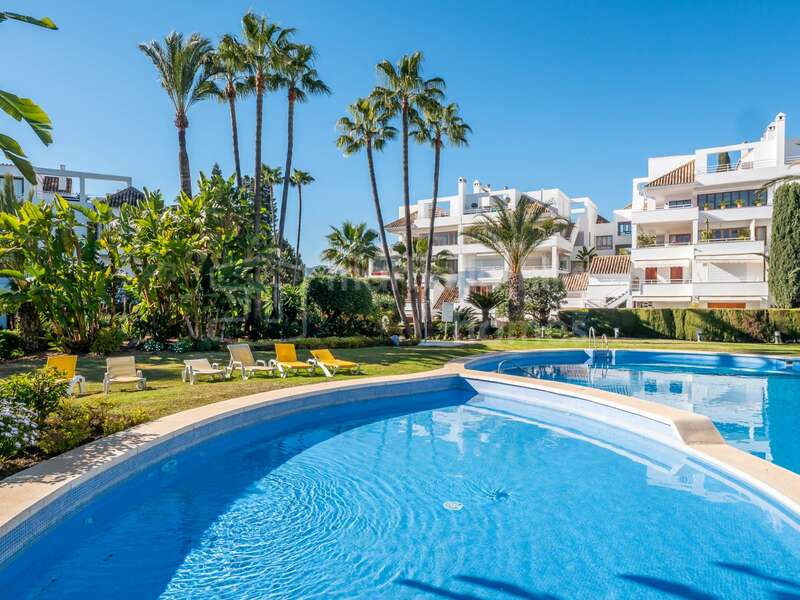 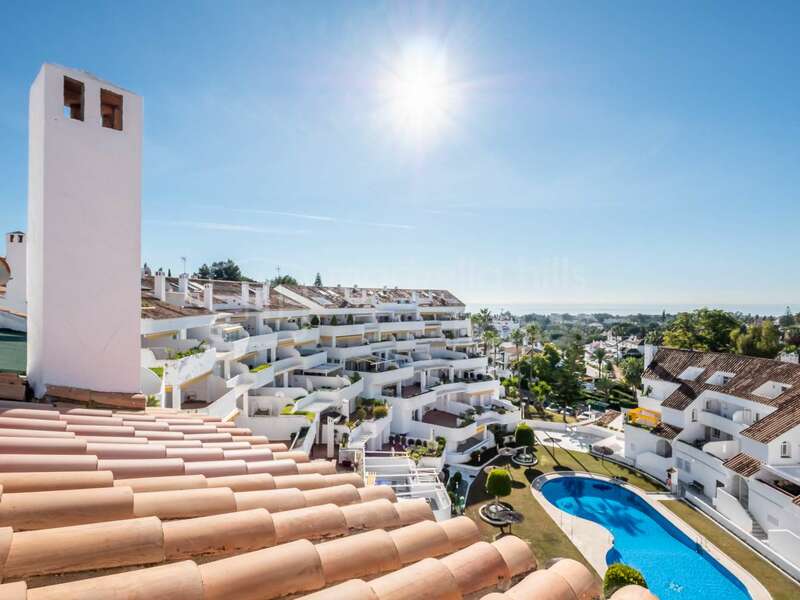 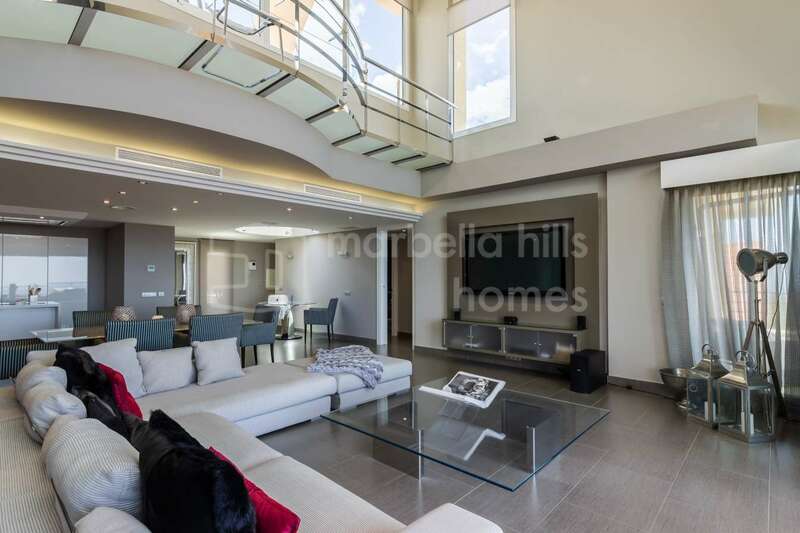 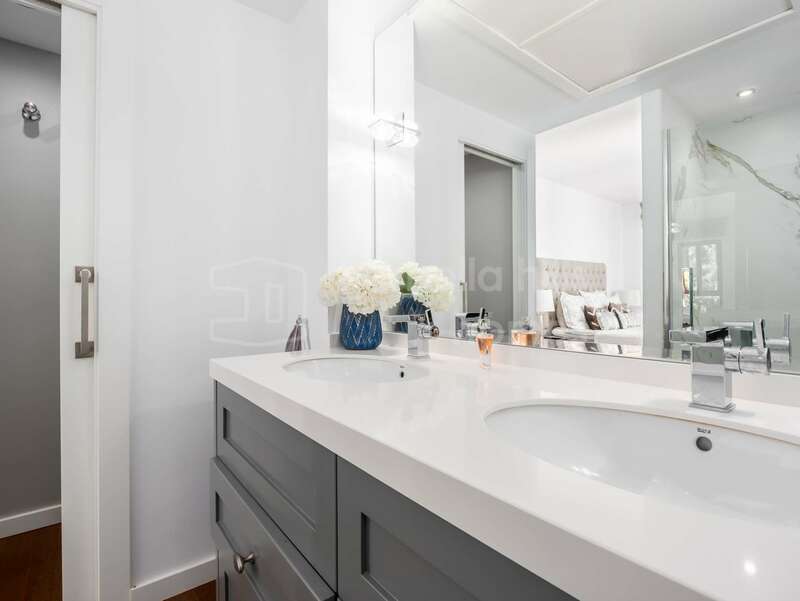 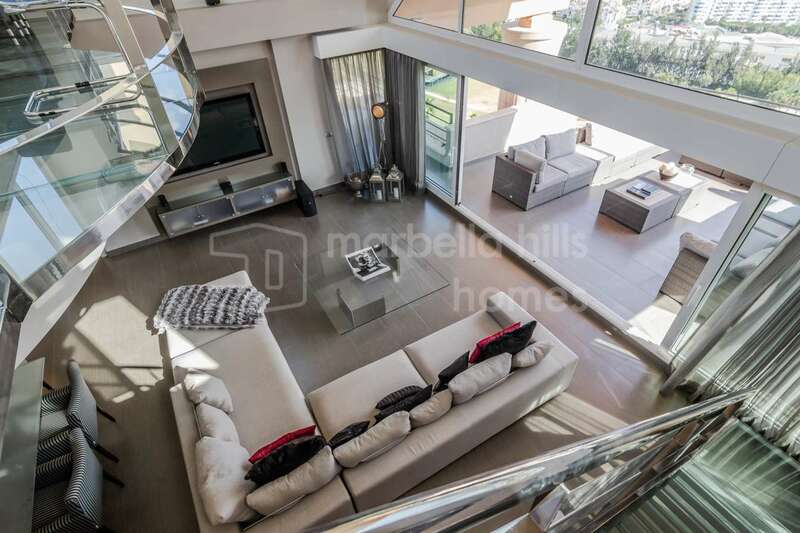 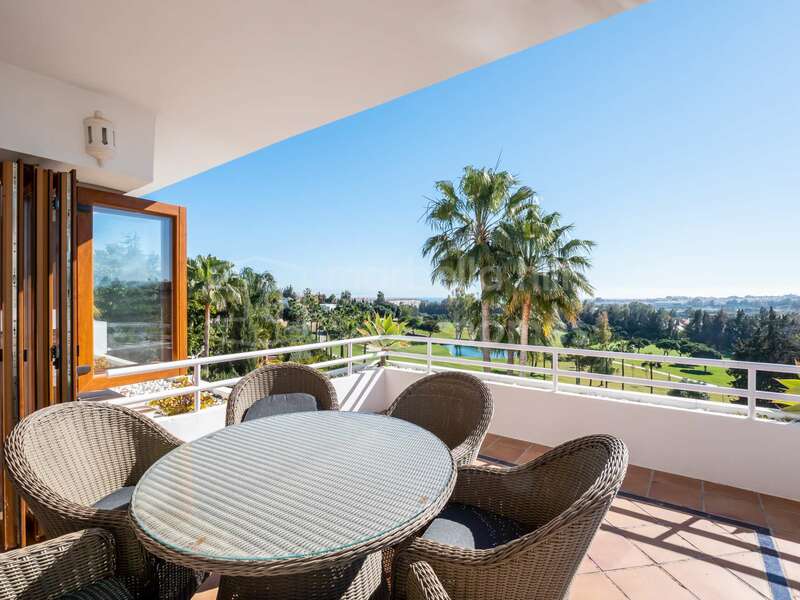 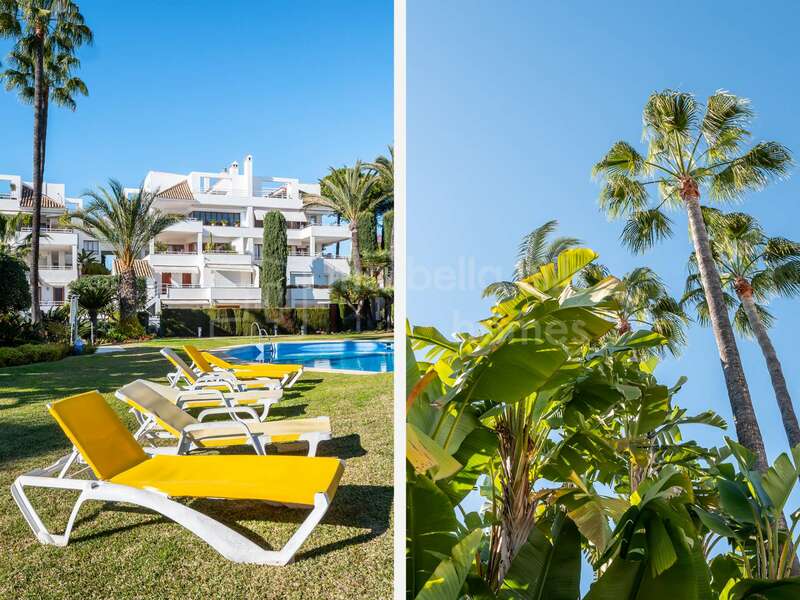 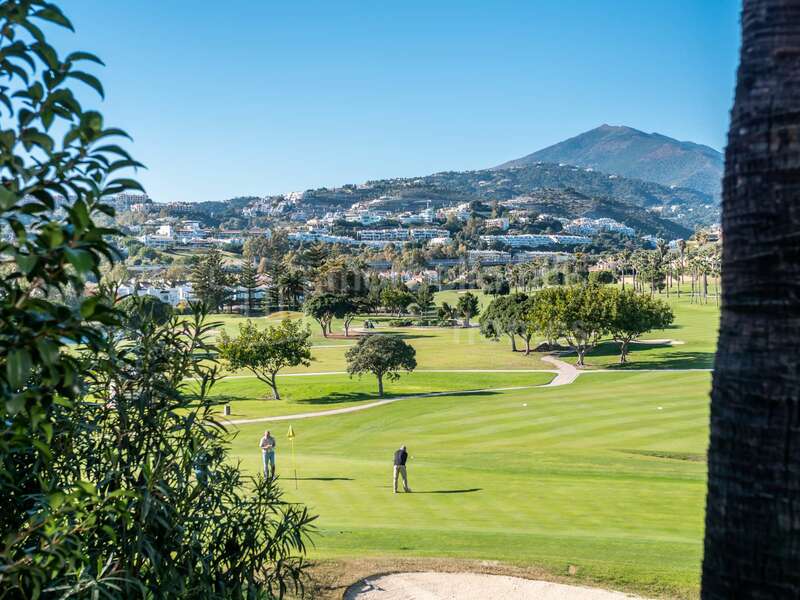 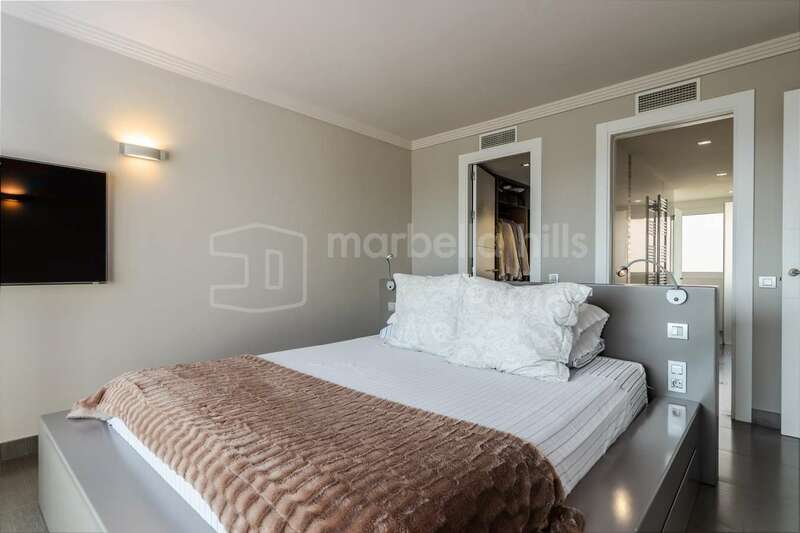 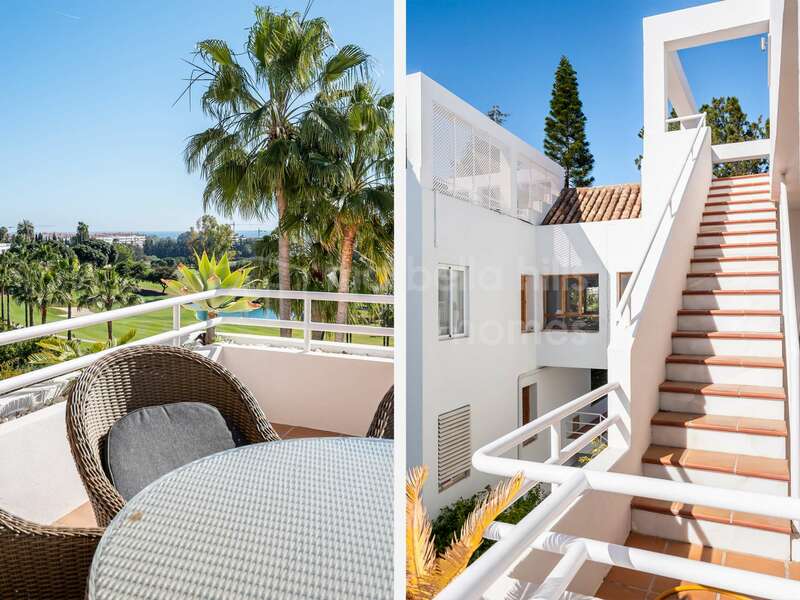 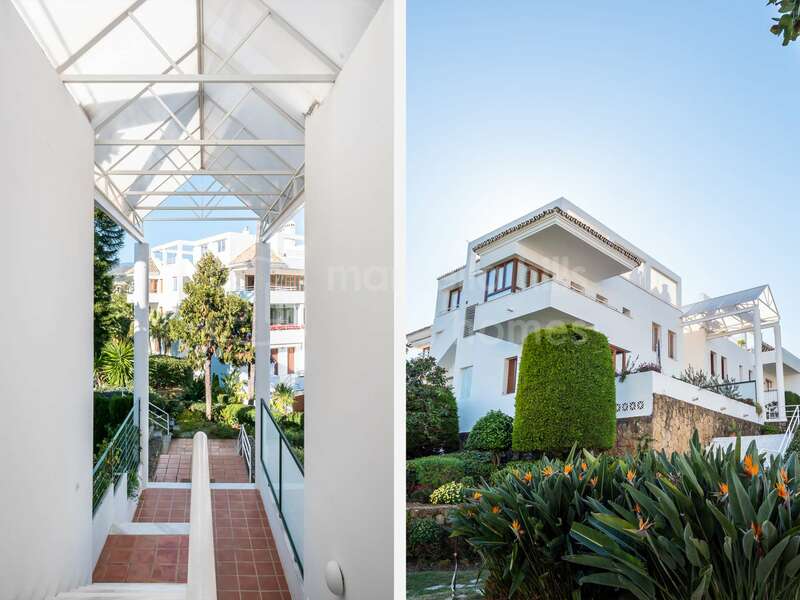 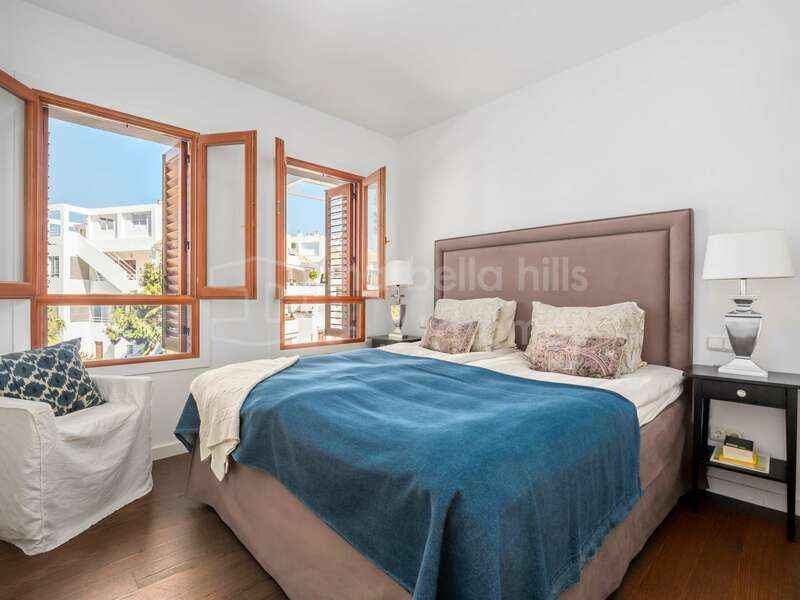 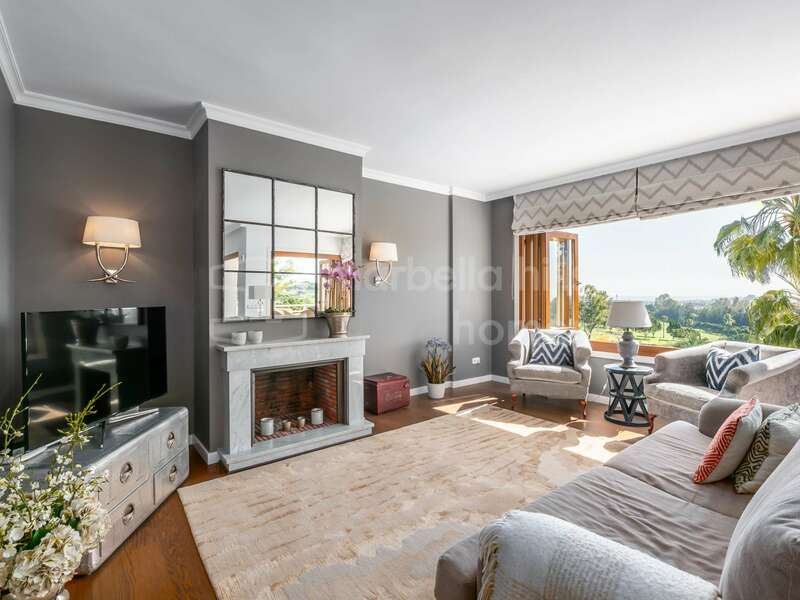 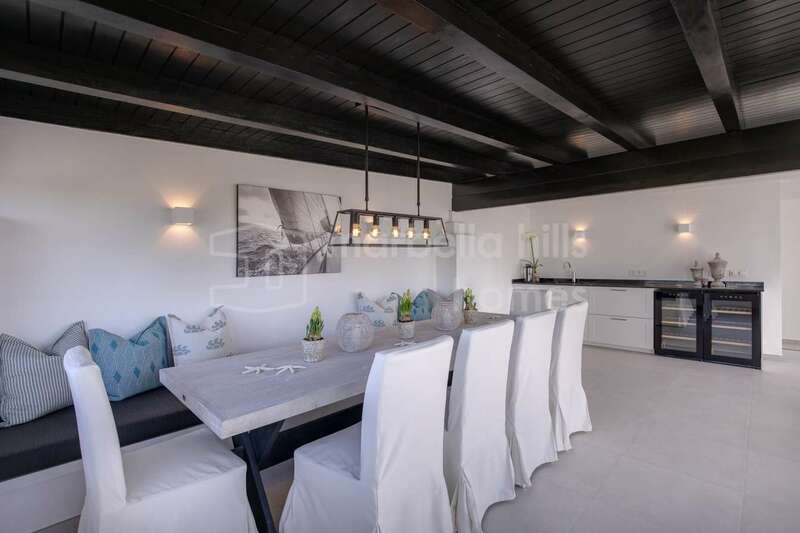 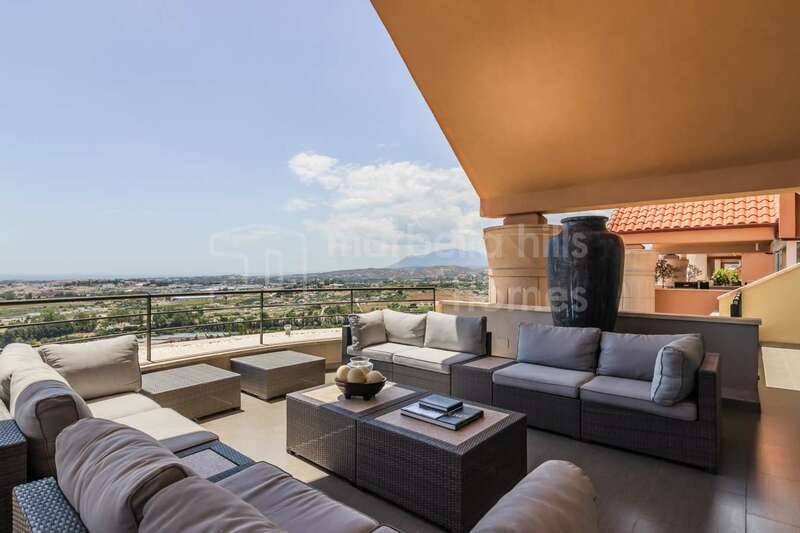 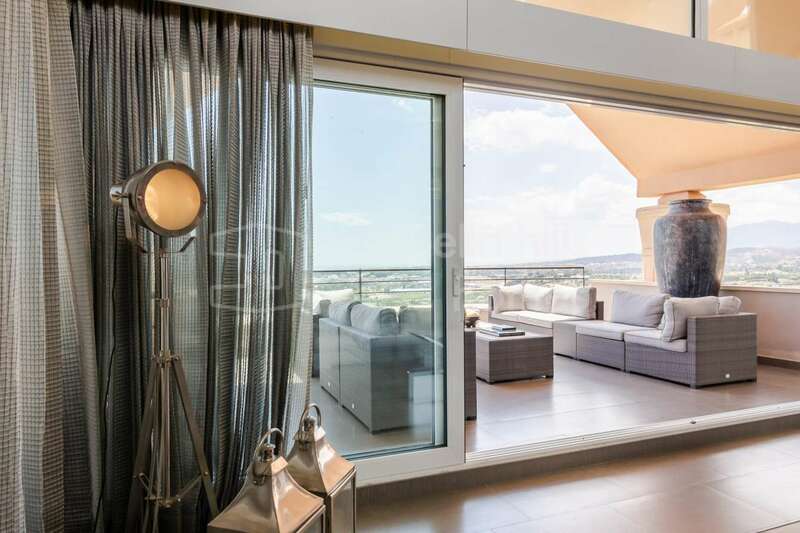 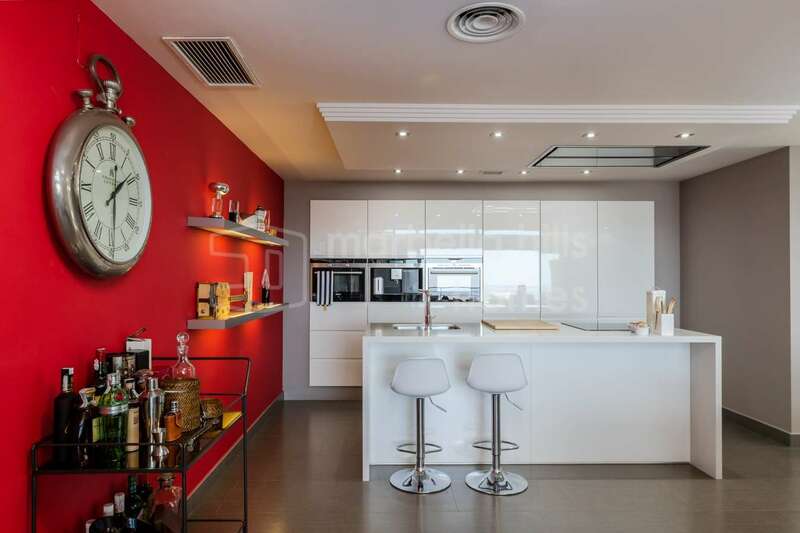 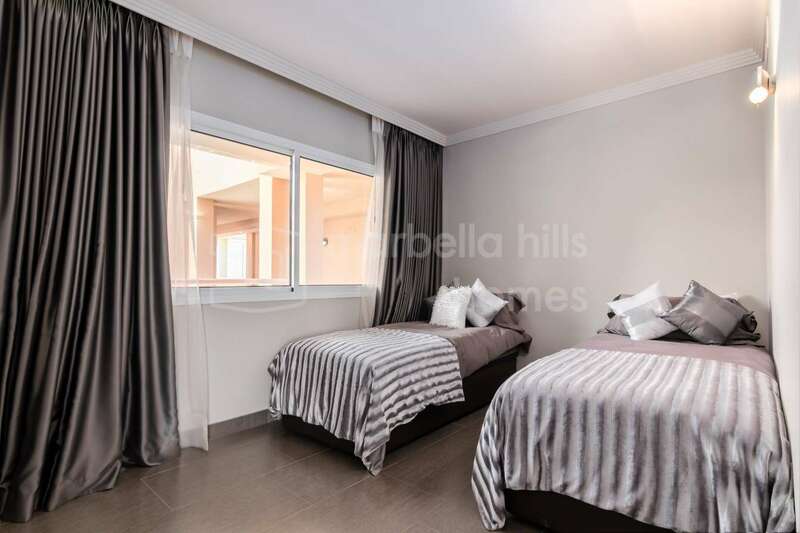 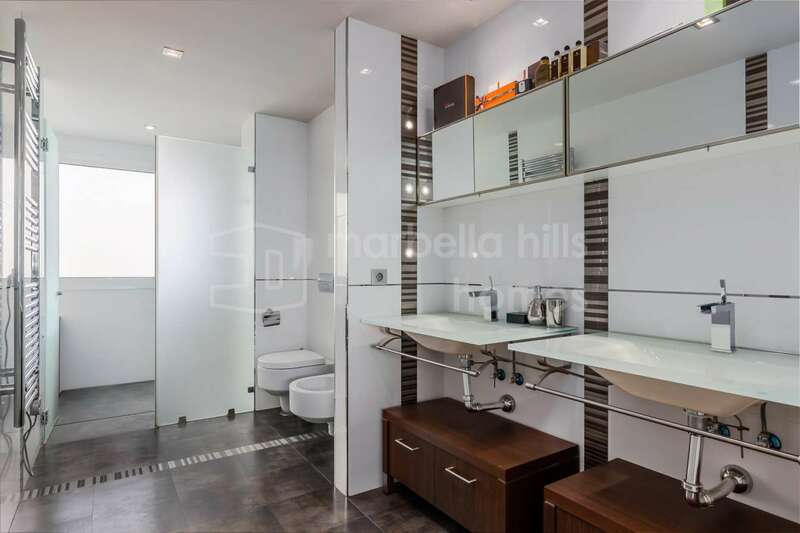 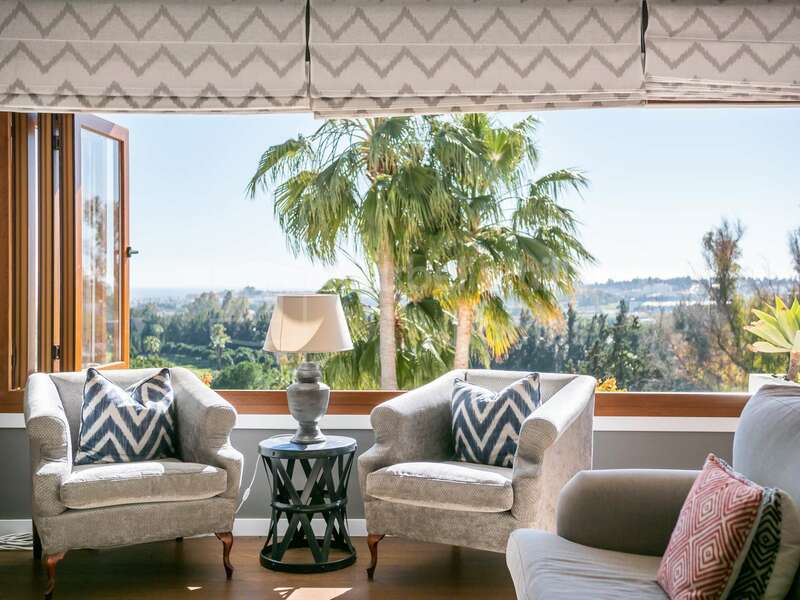 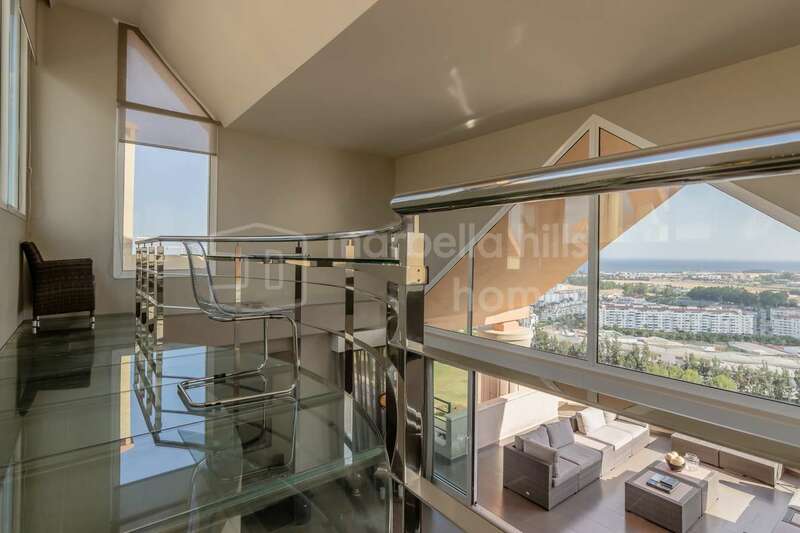 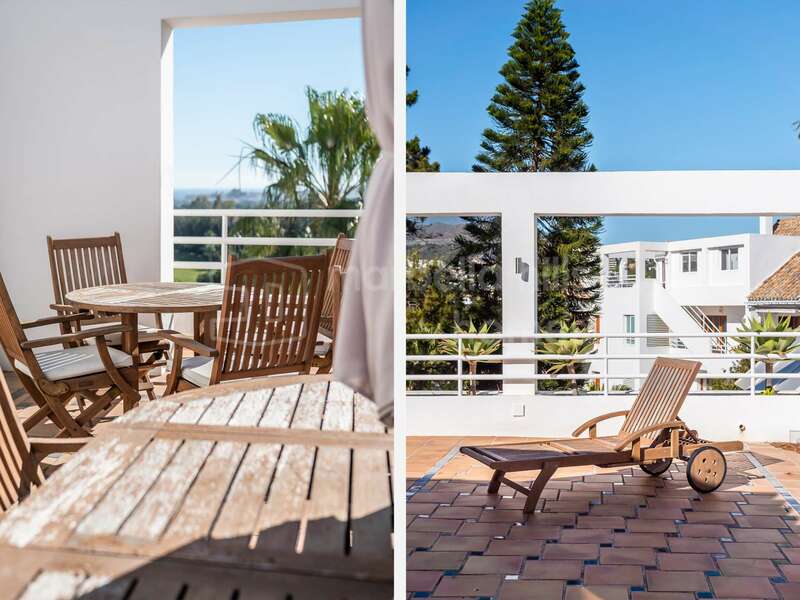 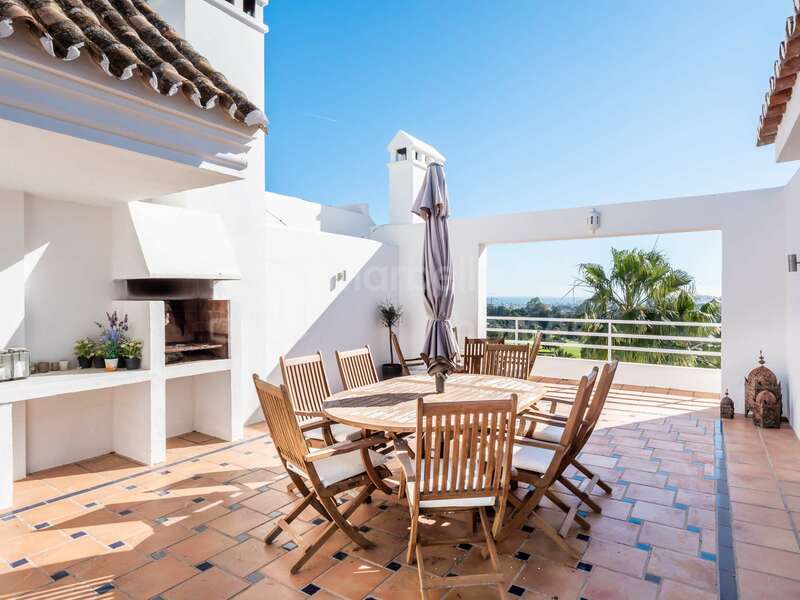 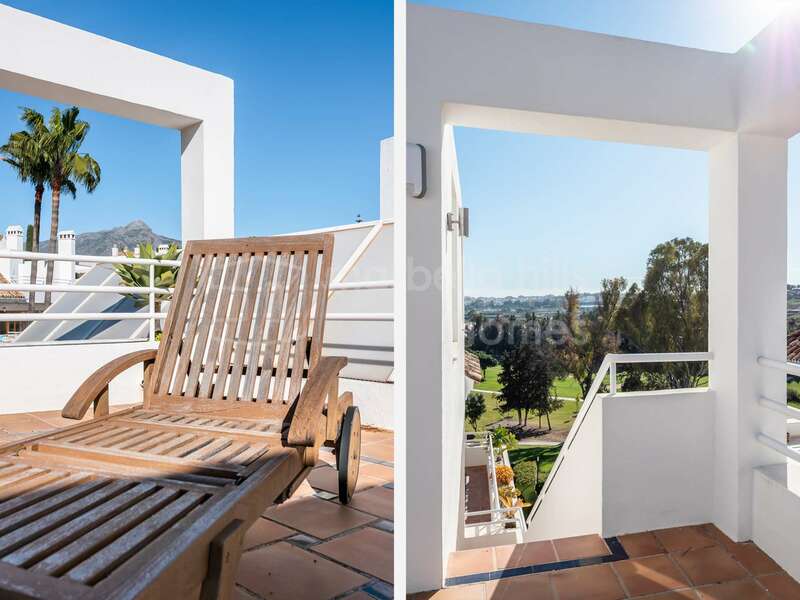 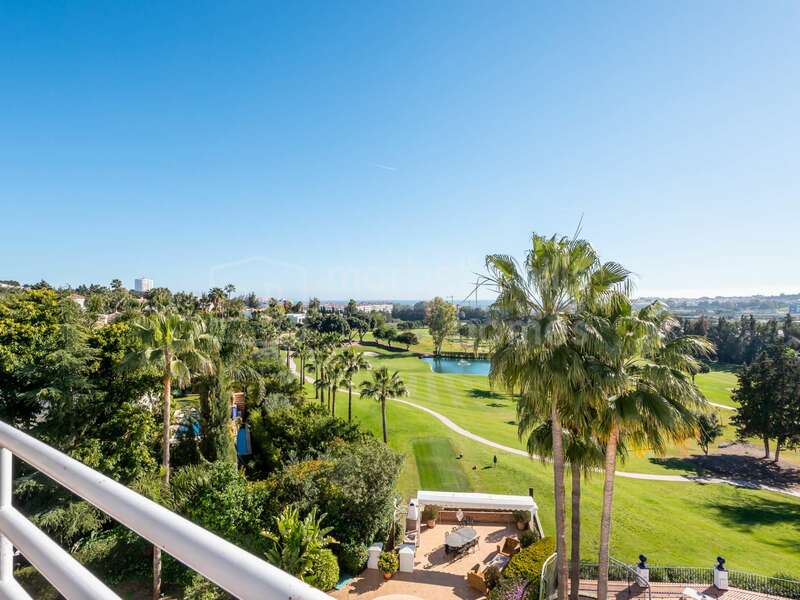 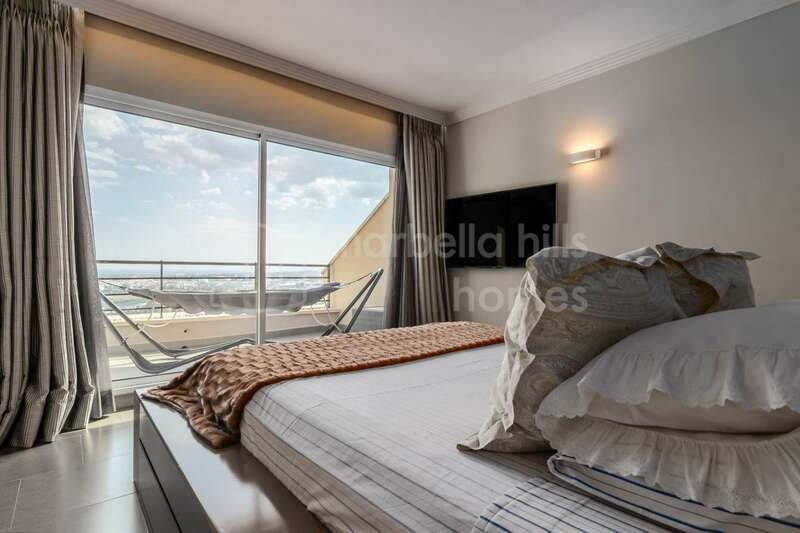 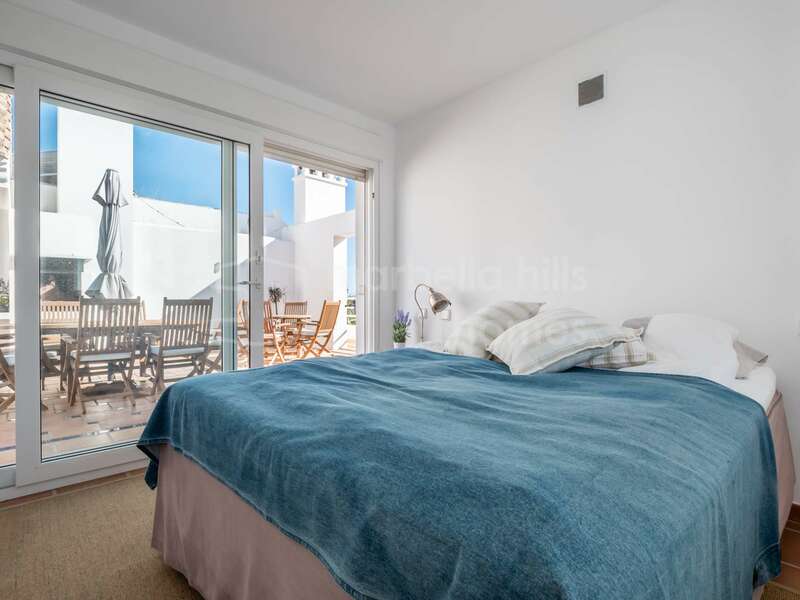 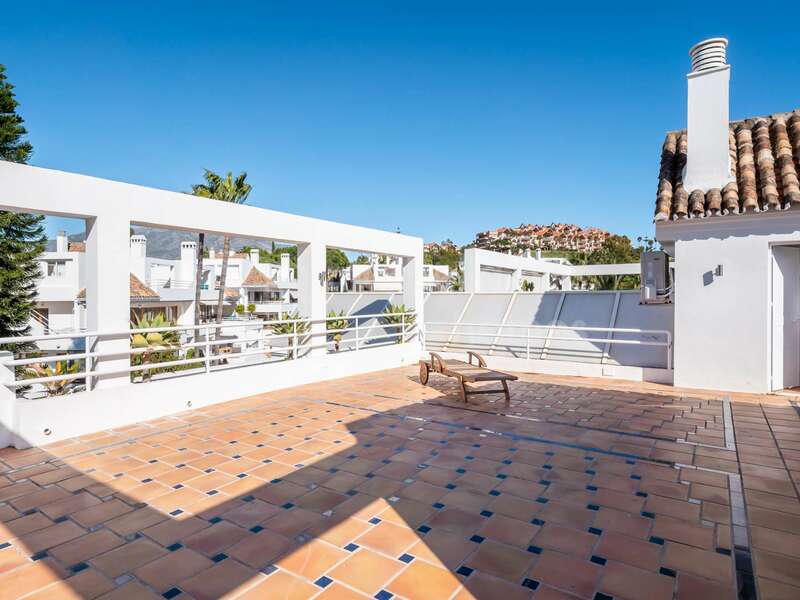 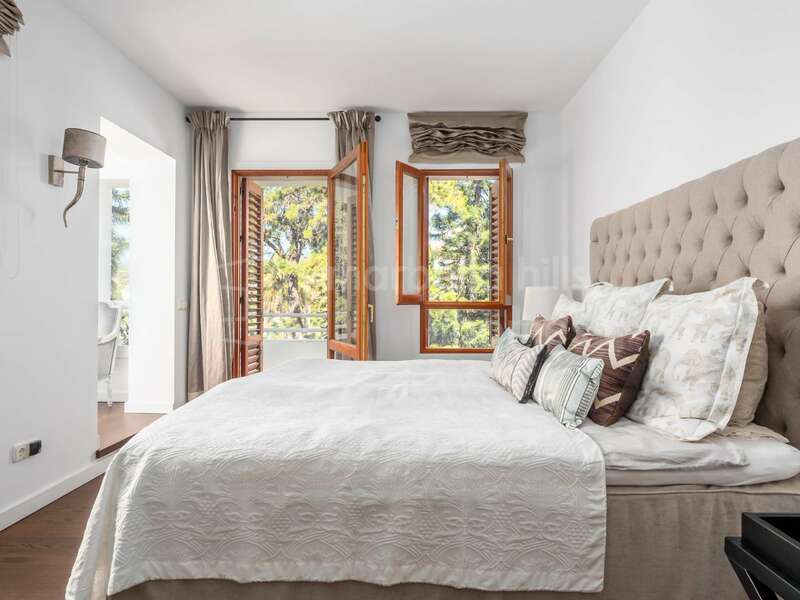 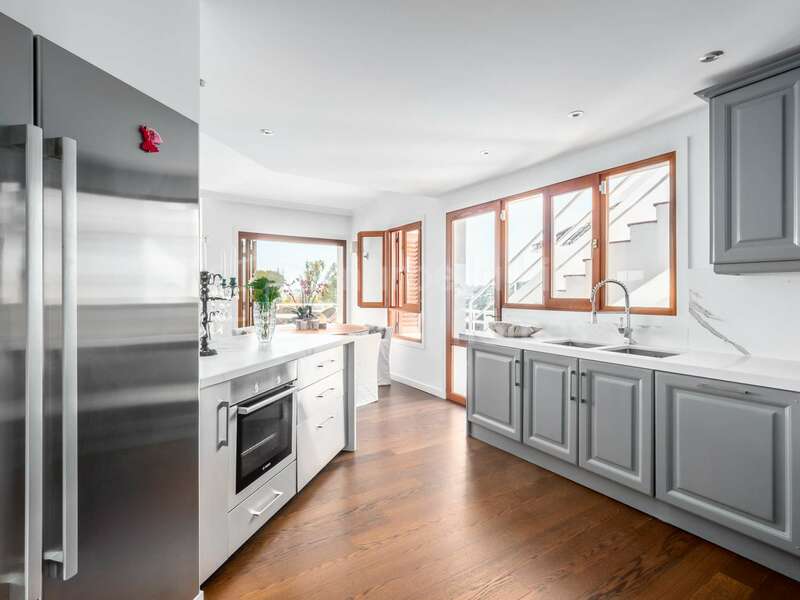 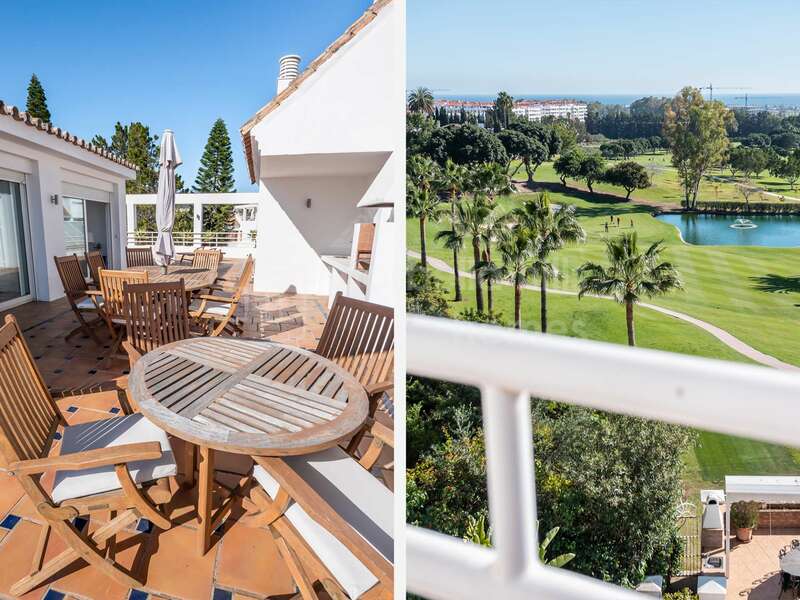 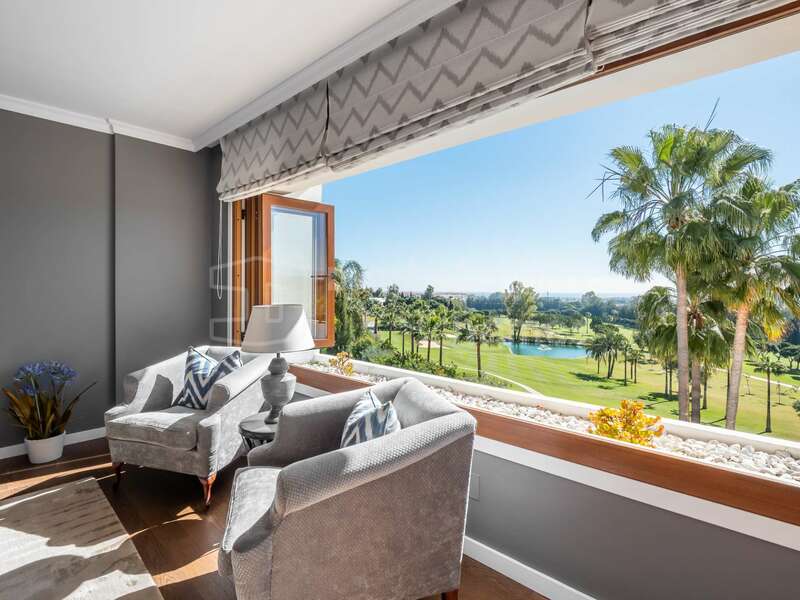 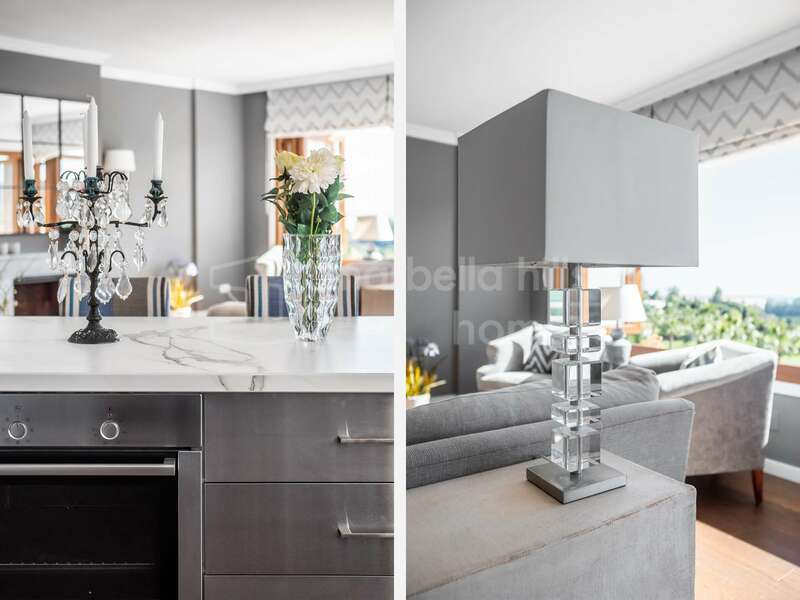 Luxurious penthouse of 5 bedrooms and 4 bathrooms located in Nueva Andalucia frontline golf in the residential complex of Alcores del Golf, secured 24/24 with concierge service – breathtaking panoramic sea views from the fantastic roof terrace of 140m2. 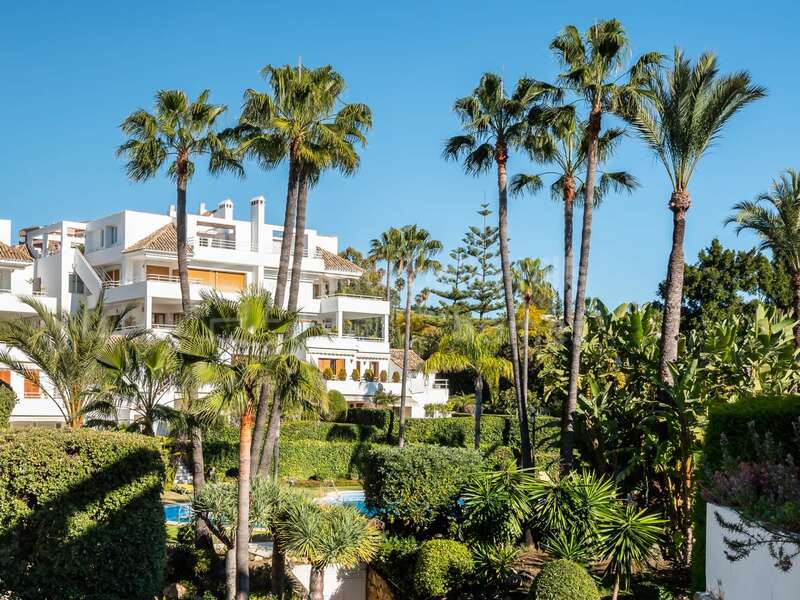 Puerto Banùs and the center of Marbella 5 minutes by car! 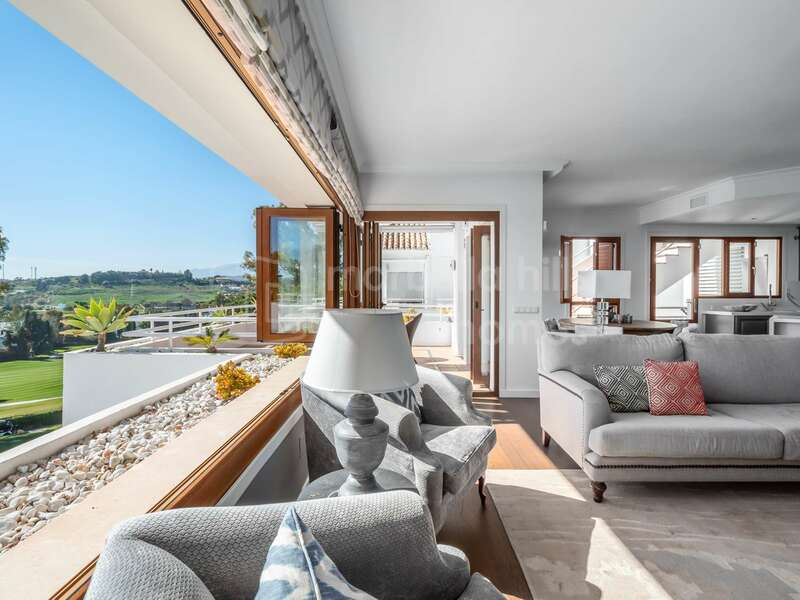 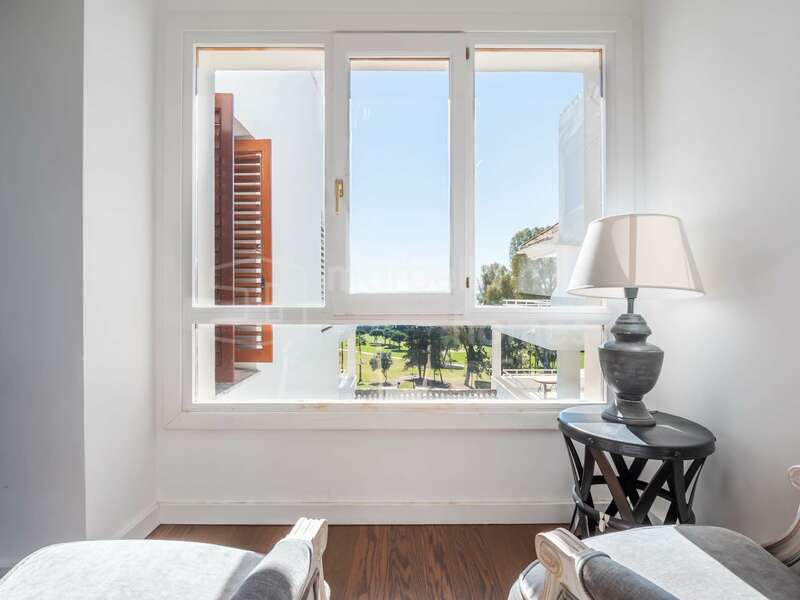 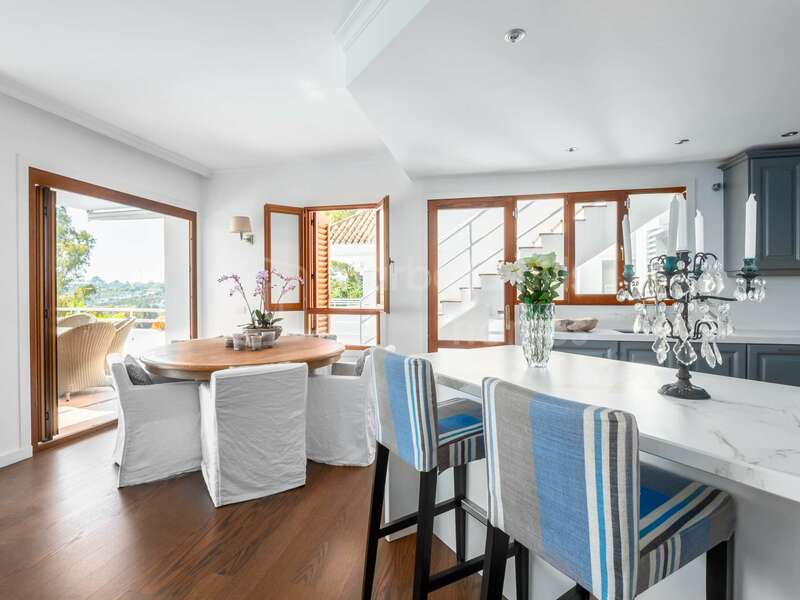 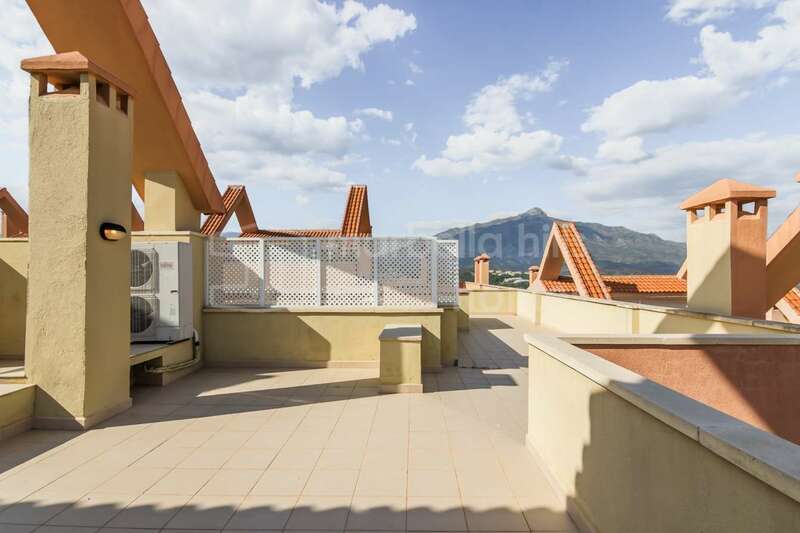 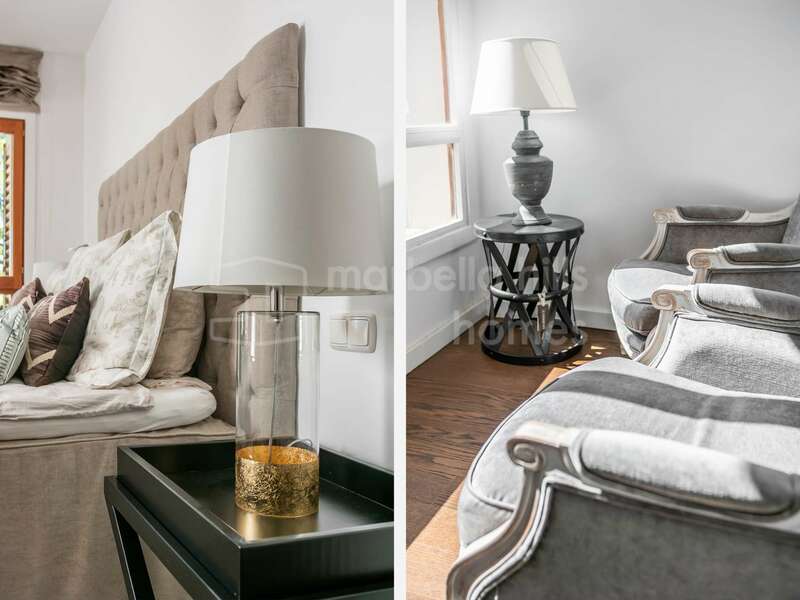 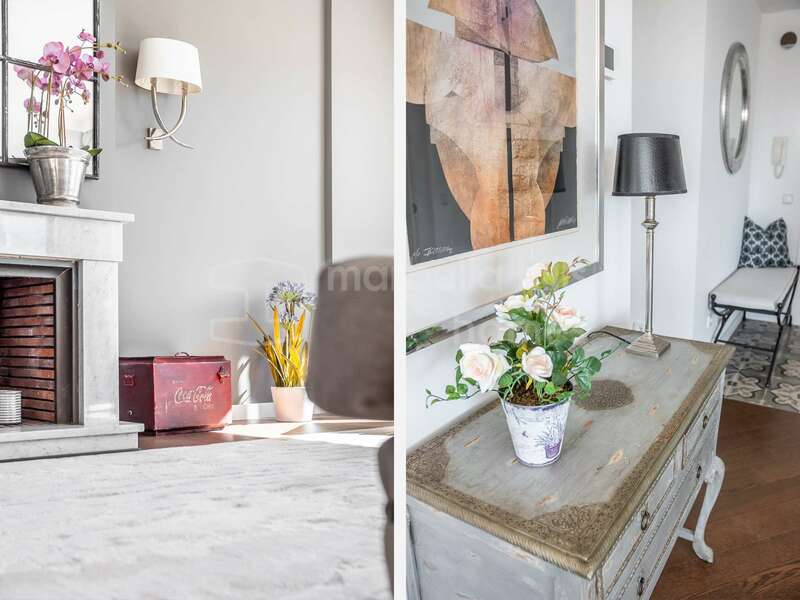 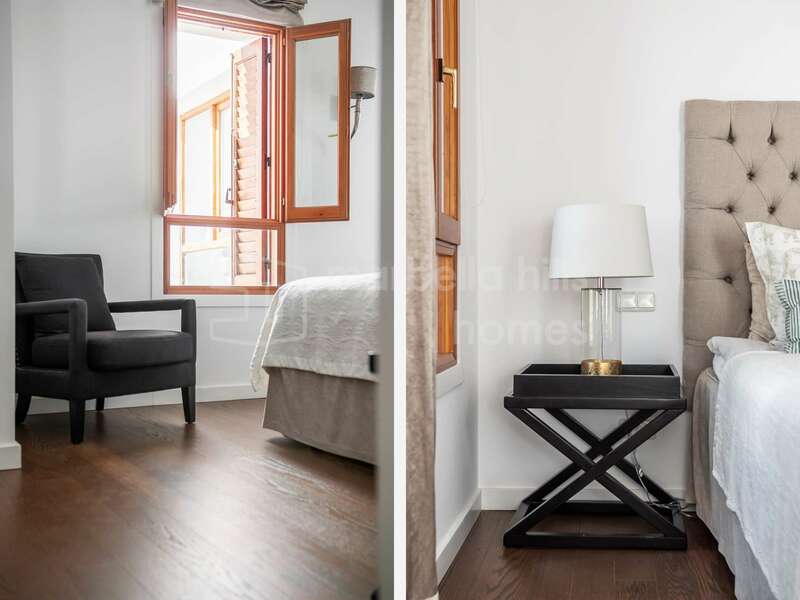 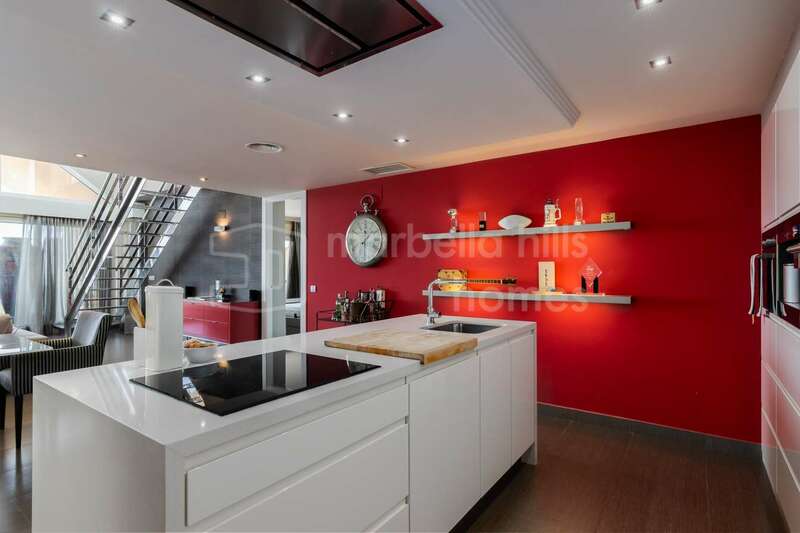 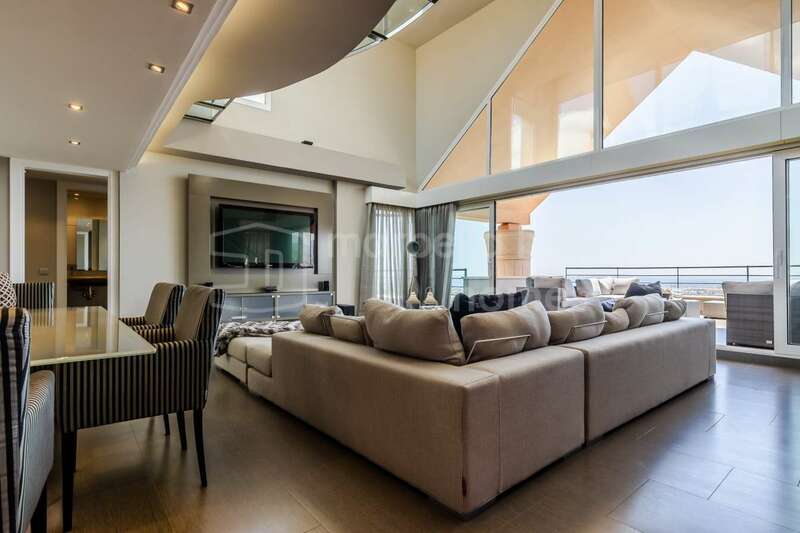 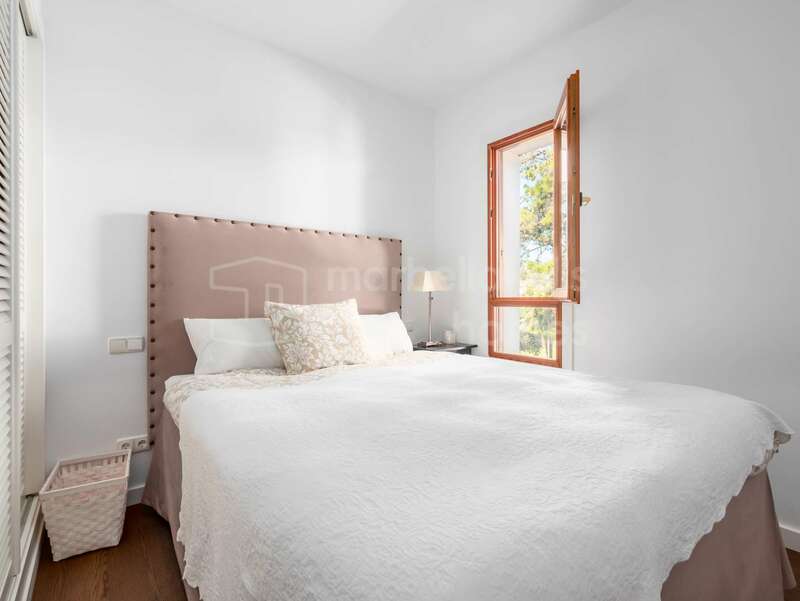 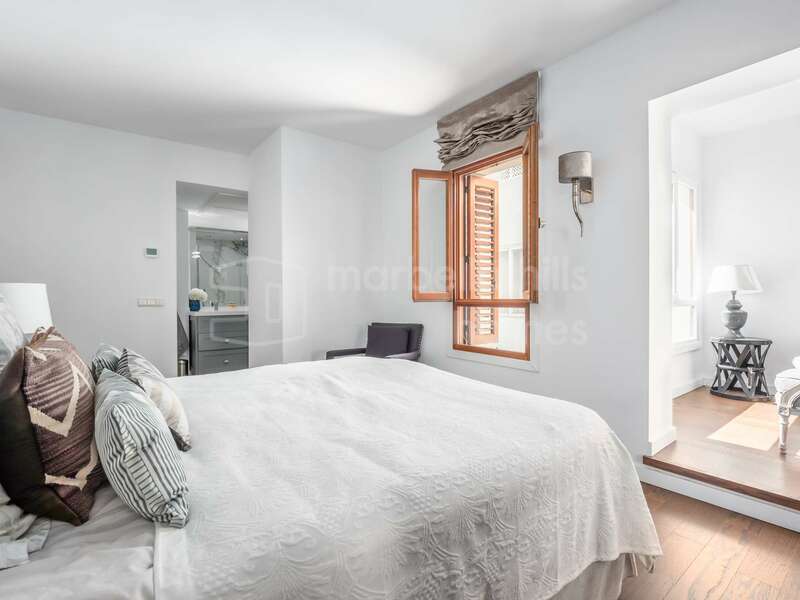 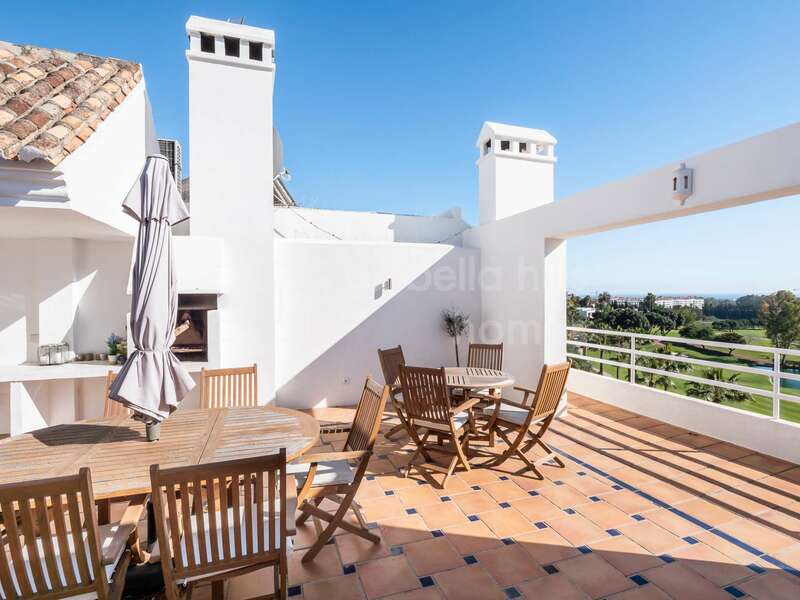 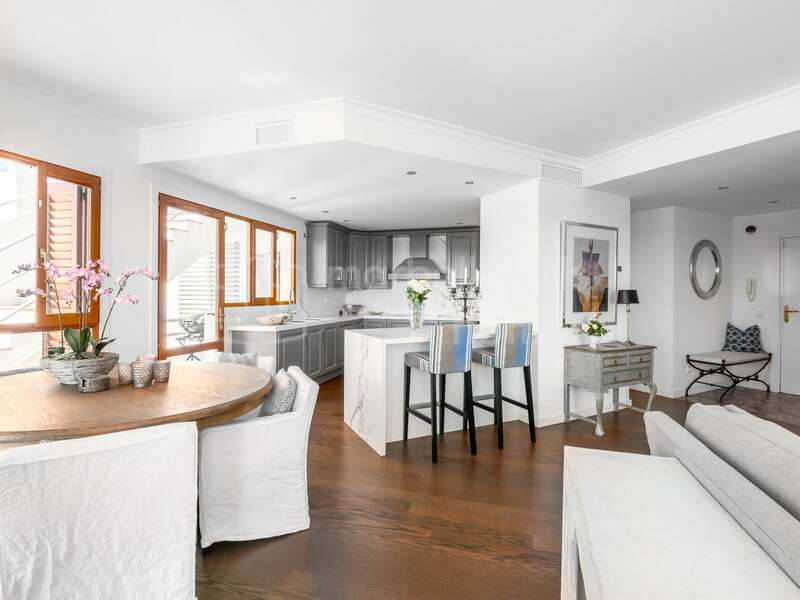 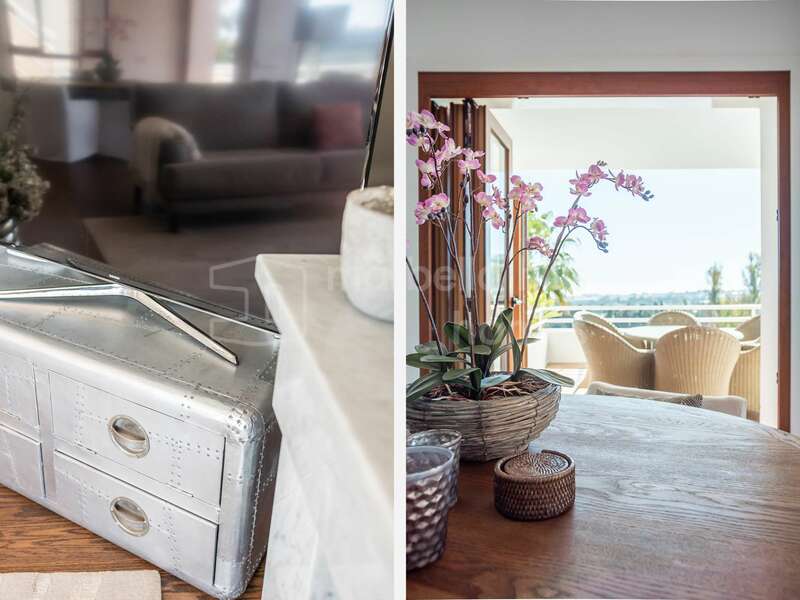 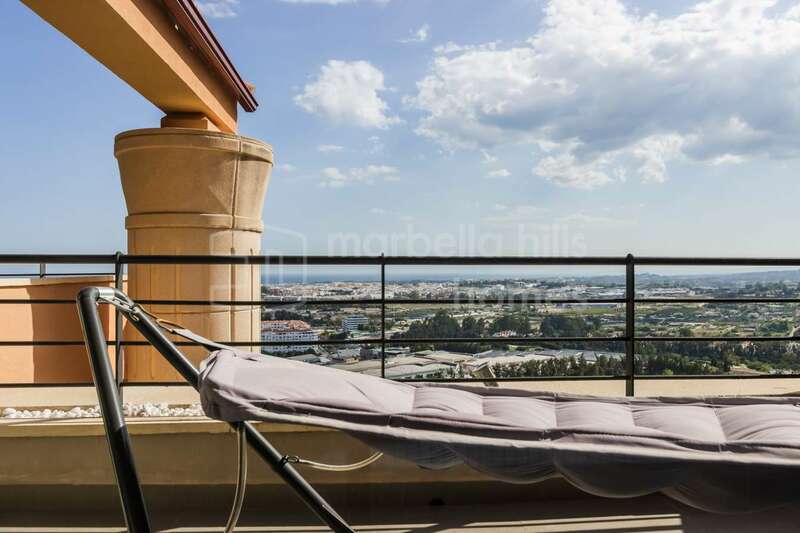 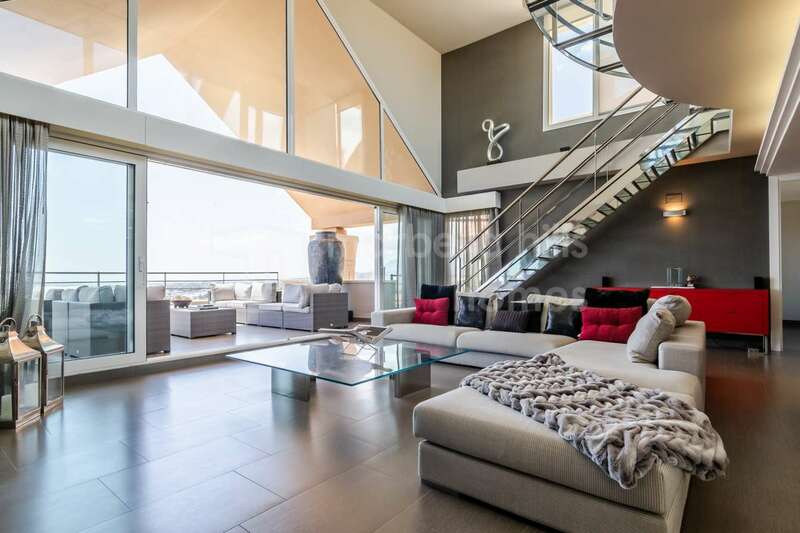 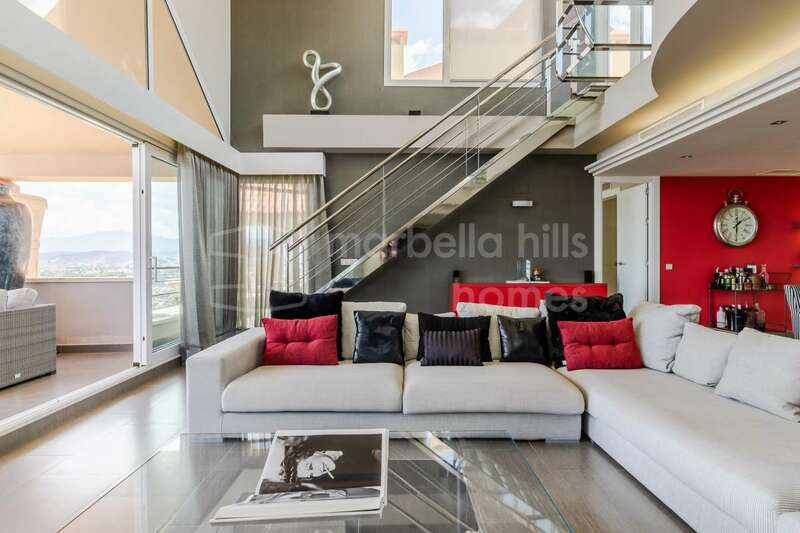 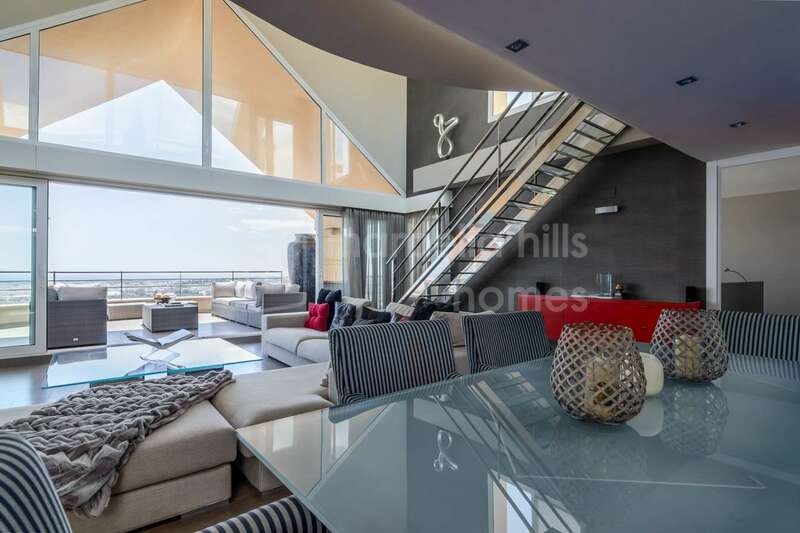 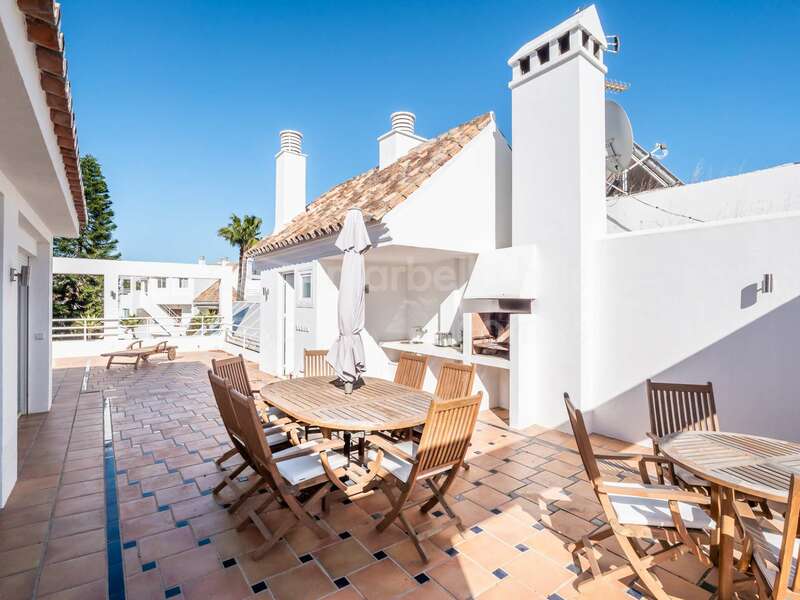 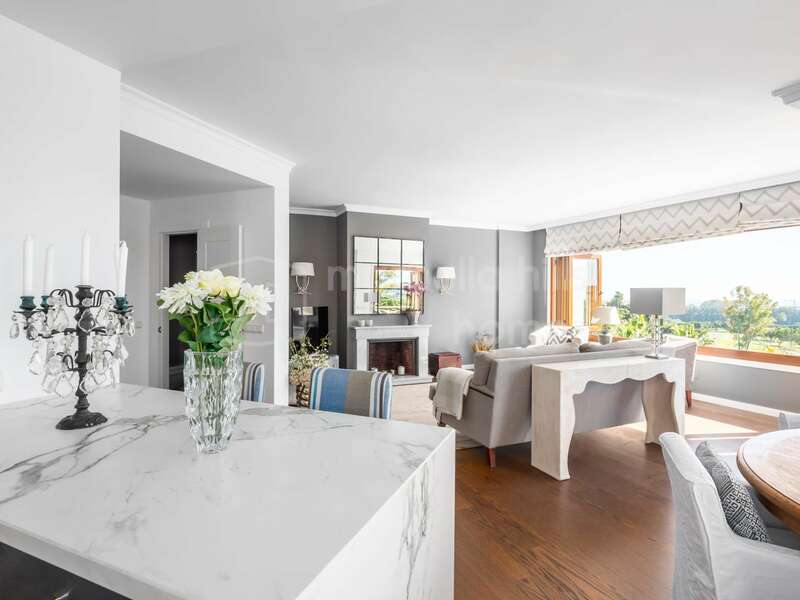 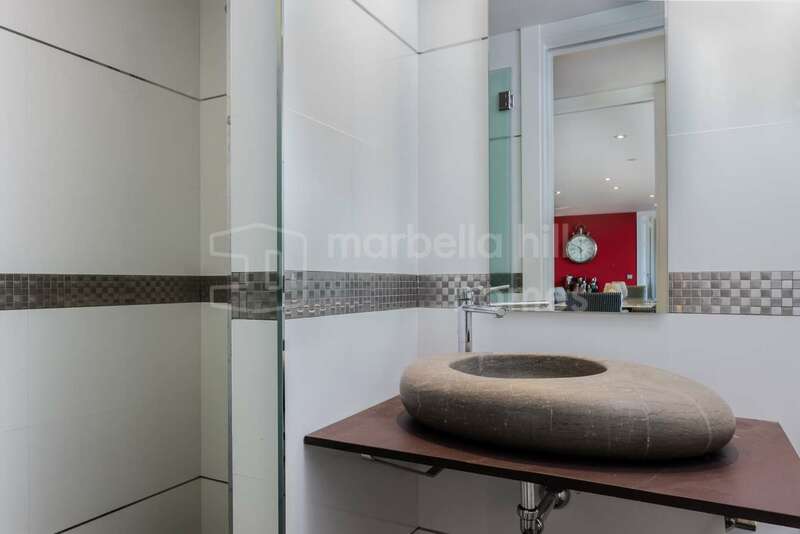 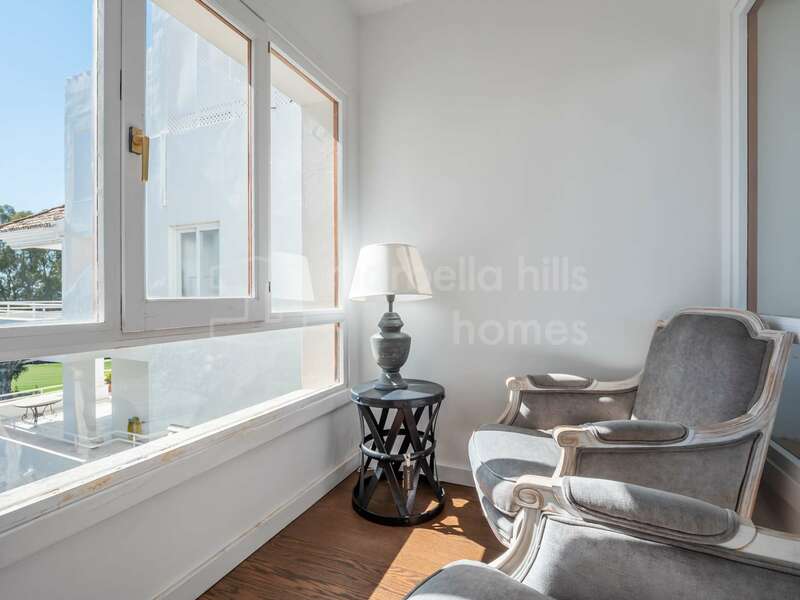 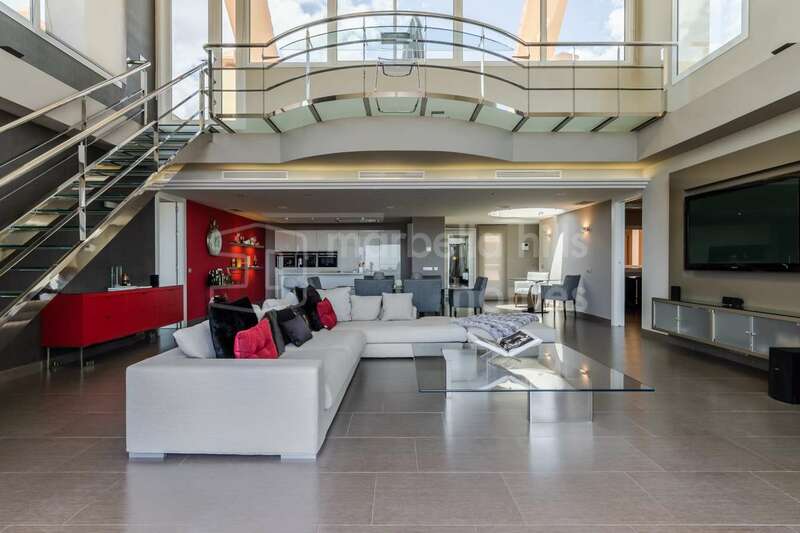 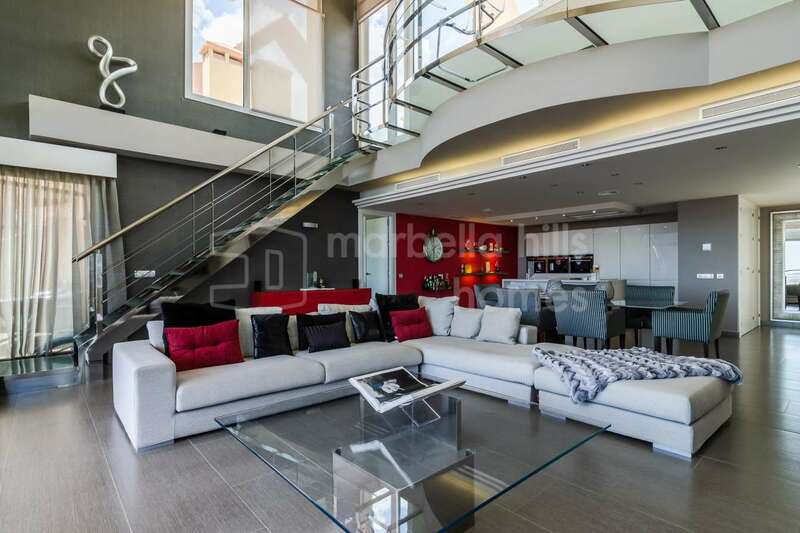 This exceptional penthouse comprises on the main level a large lounge / dining room with fireplace, American kitchen with direct access to a large terrace offering a splendid view of the sea and the prestigious golf course of Los Naranjos. 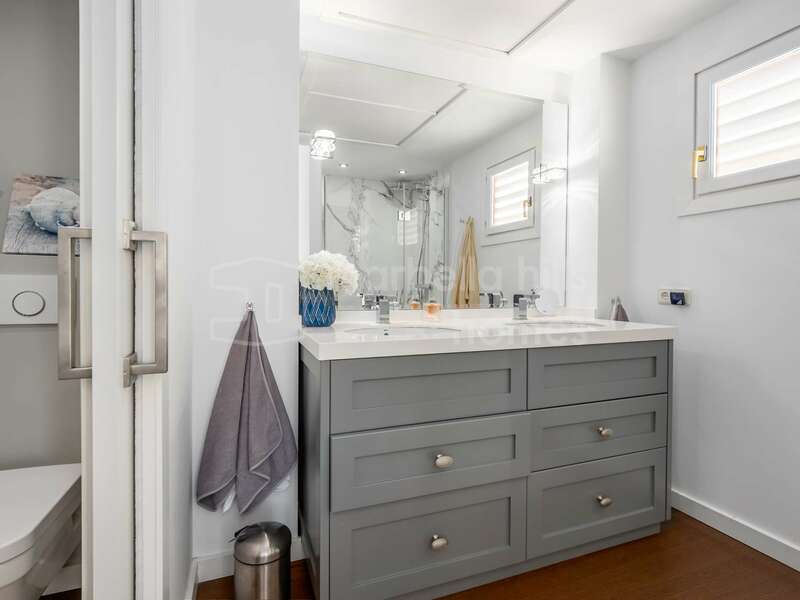 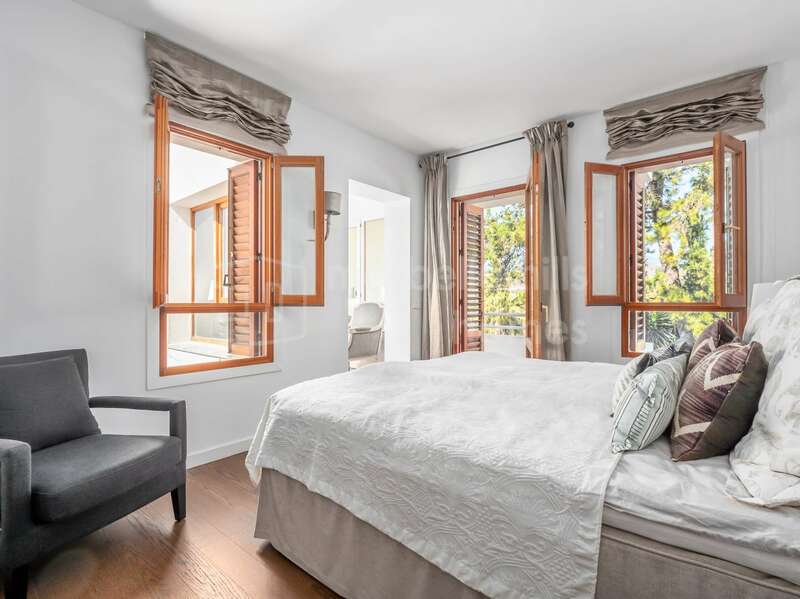 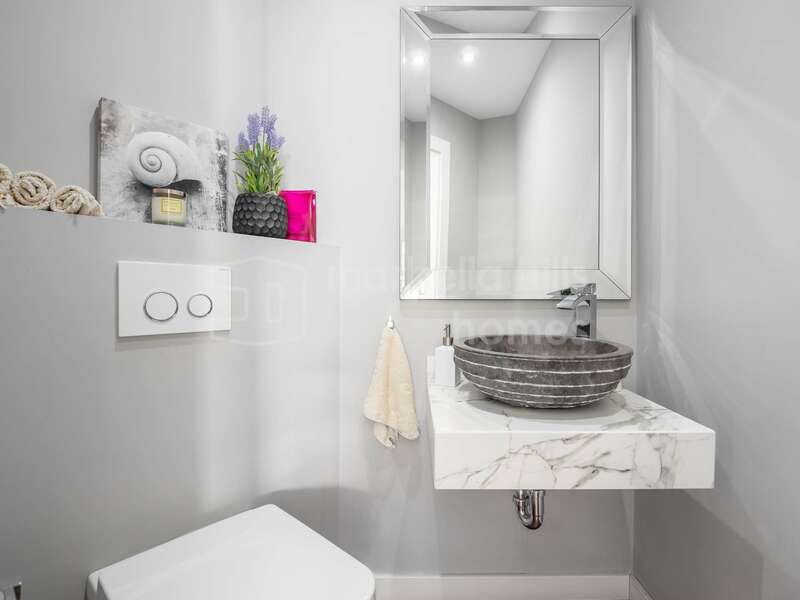 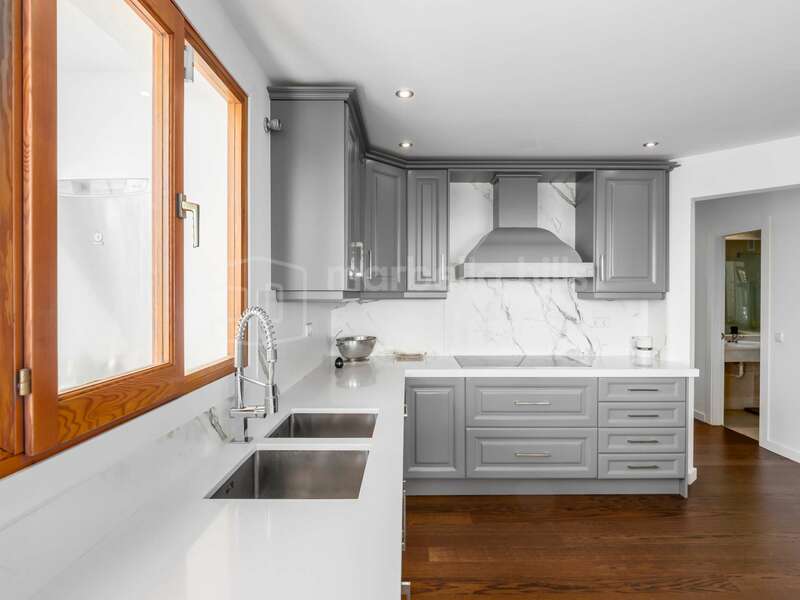 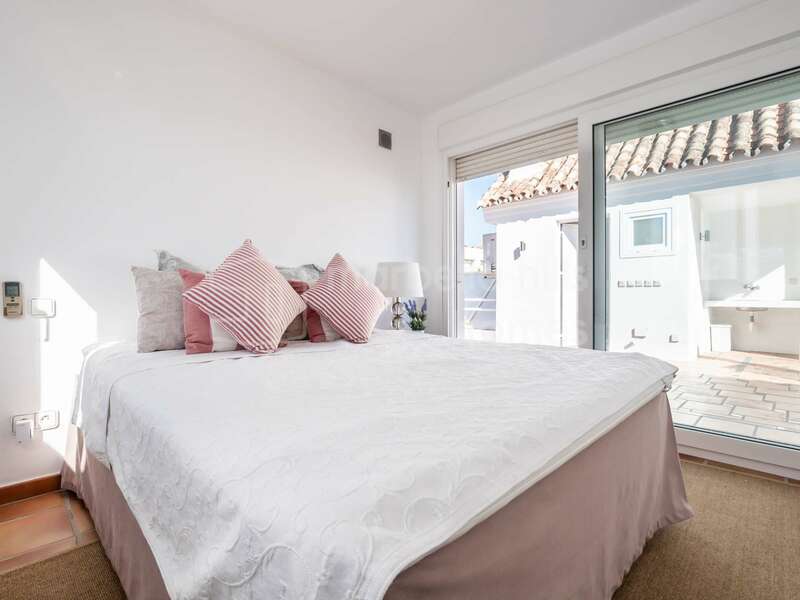 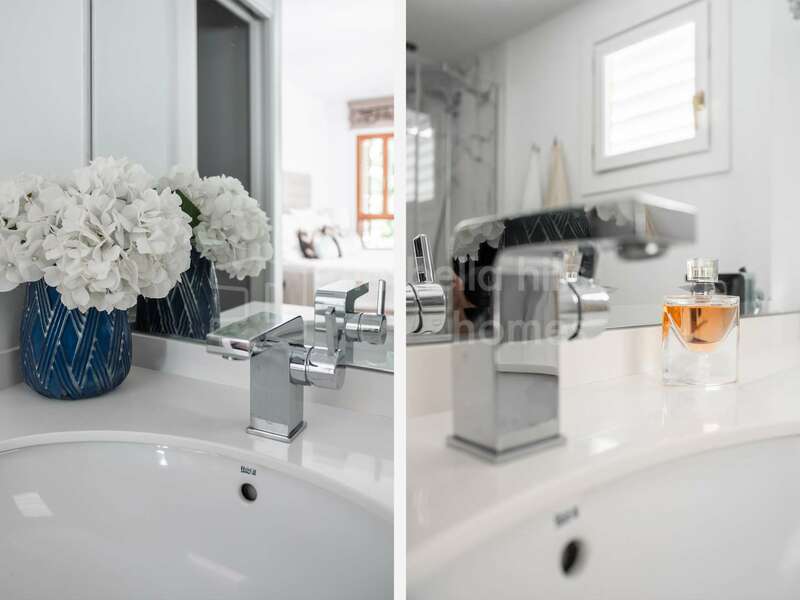 We then discover the master suite and two guest rooms with a shared bathroom – the upper level includes a 140m2 roof terrace offering total privacy and two guest rooms. 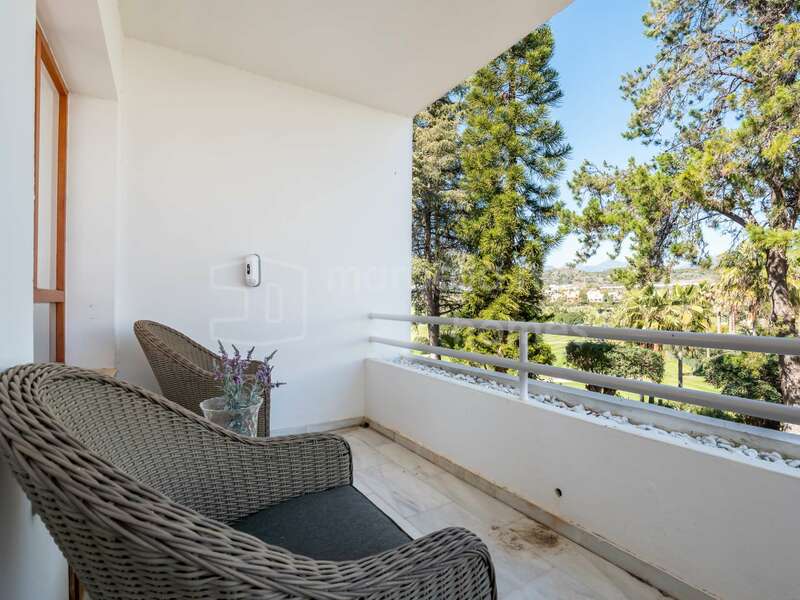 Front line golf, Fully fitted kitchen, Close to schools, Inside Golf Resort, Pets allowed, Fireplace, Marble floors, Satellite TV, Guest room, Storage room, Double glazing, Dining room, Barbeque, Security service 24h, Guest toilet, Private terrace, Kitchen equipped, Living room, Amenities near, Sea view, Golf view, Internet - Wifi, Covered terrace, Fitted wardrobes, Gated community, Air conditioning, Garden view, Close to children playground, Close to Golf, Uncovered terrace, Open plan kitchen, Optional furniture, Excellent condition, Recently Renovated/Refurbished.